Our mission extends beyond providing exemplary graduate education and supporting cutting-edge research in geospatial science and technology. We also strive to be an active partner in data-driven problem-solving. Join us! Geospatial solutions are in demand in a myriad of disciplines –– from business to agriculture, to disaster management, urban planning and more. 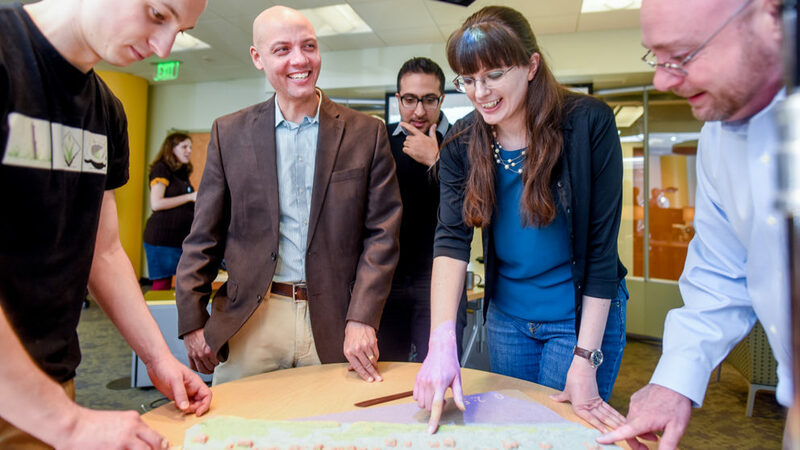 At the Center for Geospatial Analytics, our community of experts leverage their varied talents, training and experience to address a range of grand societal challenges. There are equally varied opportunities to work with us. From consulting on your projects to partnering you with a graduate student to help your organization meet its goals, we are here for you. 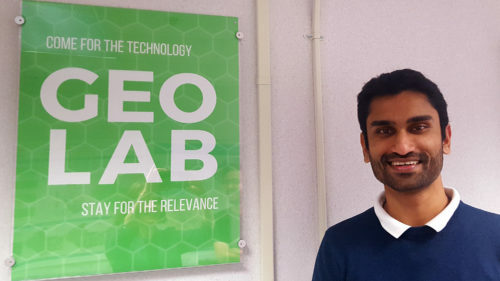 Whether you have geospatial data that need hosting, want step-by-step advice for analysis or are looking to launch a project that could be completed by our top-notch student researchers, we invite you to connect with us. Are you or your organization facing geospatial tasks that demand expert attention? Through our Service Center, government agencies, private companies and other clients gain payment-based access to resources and expertise at the Center for Geospatial Analytics. The Service Center offers a way for external partners to seek technical assistance, data hosting and training services from our researchers. For example, clients may purchase the time of our resident experts to develop GIS web maps and space on our file servers to archive and display data. Clients may also request skills training to build their own capacities, for example, in data analysis or UAS deployment. Searching for innovative solutions to a spatial problem that will also strengthen the geospatial workforce? The Center for Geospatial Analytics invites organizations to participate in our educational mission by partnering with our Professional Master’s Degree in Geospatial Information Science and Technology (MGIST). We are constantly on the lookout for more ways to provide client-based, real-world learning experiences for our students through structured projects, internships and other avenues. Becoming a GIST learning partner means working with students to develop solutions in a collaborative problem-solving effort, leveraging the expertise of all involved. Do you have a research project in mind and are looking for help to see it through? 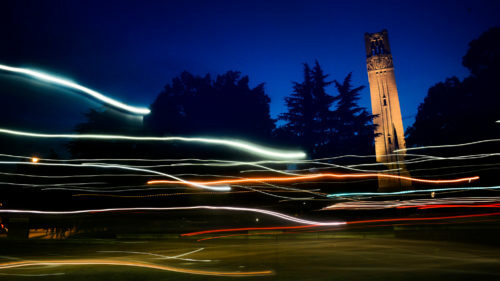 Connect with us to develop a research partnership with a Faculty Fellow, doctoral student and/or member of our leadership team. 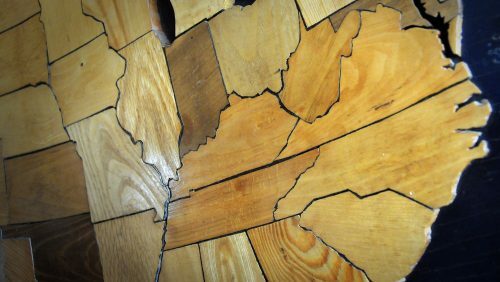 At the Center for Geospatial Analytics, we observe the world around us, model complex processes through space and time, and create new ways of visualizing and interacting with spatial data. We can help you achieve innovative, actionable strategies that address real-world problems. • Short-term (4- to 12-month) pilot projects involving Faculty Fellows and/or staff researchers. • Multi-year projects that align your research question with the research interests of a graduate student under the guidance of one of our Faculty Fellows. • Collaborative and interdisciplinary projects led by one of our directors and which reach across the university to involve specialized and expert knowledge. 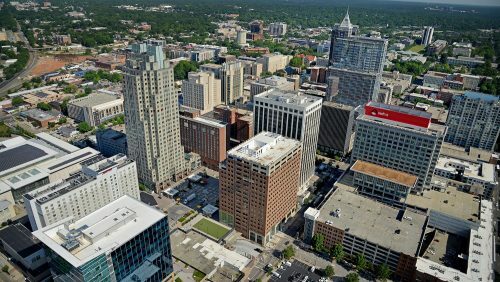 Are you interested in visiting the Center for Geospatial Analytics or becoming a more active member of the NC State geospatial community? Connect with a Faculty Fellow to request a Collaborative Visit. Visit the Geovisualization Lab during an upcoming open house. Attend the center-hosted Geospatial Forum series. We are also able to support limited visits by K-12 STEM students to our center. Contact Associate Director of Professional Education Eric Money for more information. 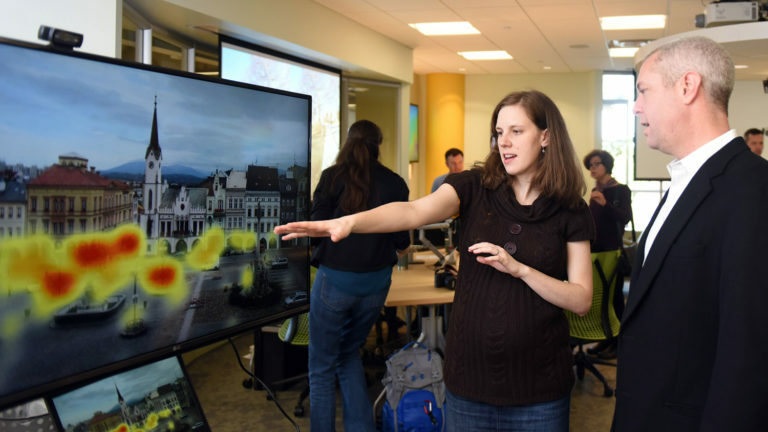 The Center for Geospatial Analytics drives innovation in education and research, and generous donations of both time and funds play a key role in supporting our cutting-edge work. Whether your passion is for providing hands-on opportunities for students, elevating research or enhancing added-value programs, your tax-deductible gift or generous mentorship will help our center continue to grow as a go-to hub for geospatial solutions. Make an impact today that will help our students and researchers continue to Think and Do the extraordinary. At the Center for Geospatial Analytics, we are preparing the next generation of interdisciplinary data scientists. 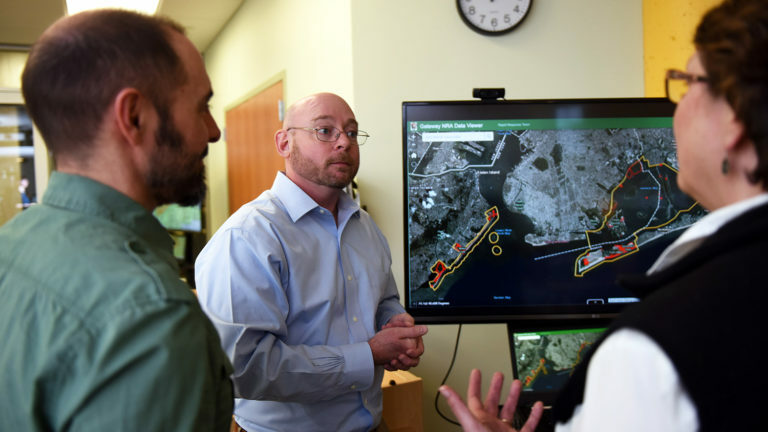 Our students inspire us to challenge the conventions of a geospatial education, and they drive progress at the frontiers of geospatial analytics under the guidance of their faculty advisors. 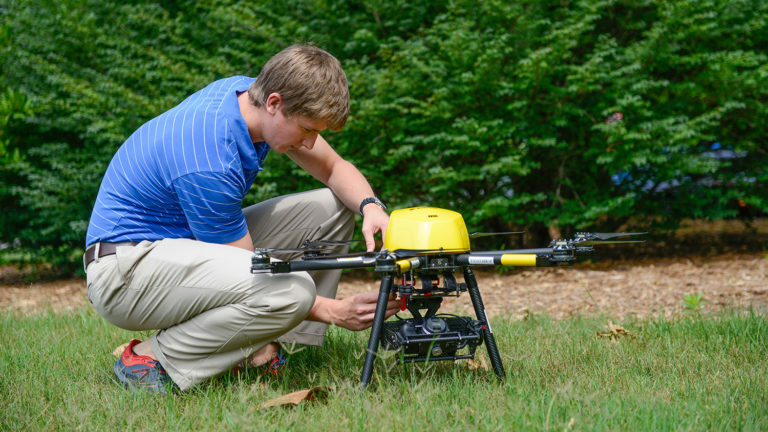 Through a partnership called Geo-IDEAS, NC State's Center for Geospatial Analytics and Wake County government are innovating the future of spatial analysis and decision-making. 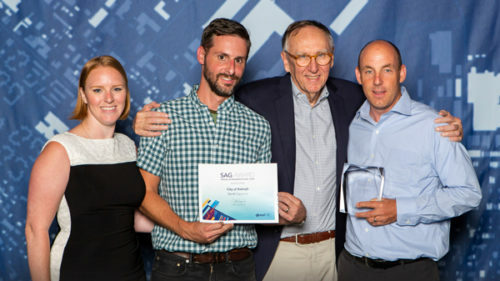 A groundbreaking collaboration between the Center for Geospatial Analytics and City of Raleigh was honored at the 2018 Esri User Conference. Celebrating the capstone service-learning projects of our December 2017 graduates from the professional master's program in Geospatial Information Science and Technology. Celebrating the capstone service-learning projects of our December 2018 graduates from the professional master's program in Geospatial Information Science and Technology. Celebrating the capstone service-learning projects of our May 2018 graduates from the professional master's program in Geospatial Information Science and Technology. 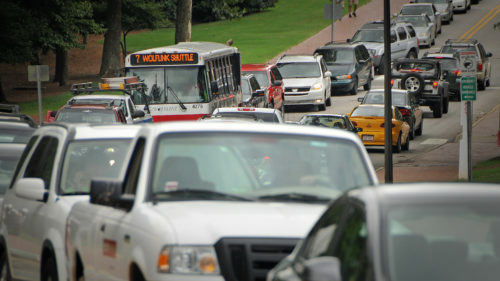 Researchers led by faculty fellow Perver Baran partnered with a team from the City of Raleigh to create a revolutionary 3-D tool on the web for visualizing development alternatives.